This is the No.1 New York Times Bestseller. In China, for the first time, the people who weigh too much now outnumber those who weigh too little. In Mexico, the obesity rate has tripled in the past three decades. In the UK over 60 per cent of adults and 30 per cent of children are overweight, while the United States remains the most obese country in the world. We are hooked on salt, sugar and fat. These three simple ingredients are used by the major food companies to achieve the greatest allure for the lowest possible cost. Here, Pulitzer Prize-winning investigative reporter Michael Moss exposes the practices of some of the most recognisable (and profitable) companies and brands of the last half century. He takes us inside the labs where food scientists use cutting-edge technology to calculate the 'bliss point' of sugary drinks. 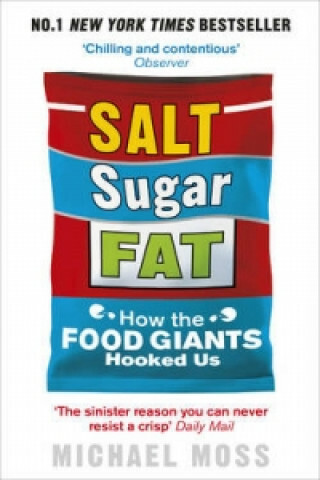 He unearths marketing campaigns designed - in a technique adapted from the tobacco industry - to redirect concerns about the health risks of their products, and reveals how the makers of processed foods have chosen, time and again, to increase consumption and profits, while gambling with our health. Are you ready for the truth about what's in your shopping basket?